Join Grace City Youth: Aleja Mueck, Israel Williams, Marieo Anderson, Marieon Anderson, and Chyna Drummond as they compete in the African American History Academic Competition against 5 other represented churches! Min Kit Evans is their coach. 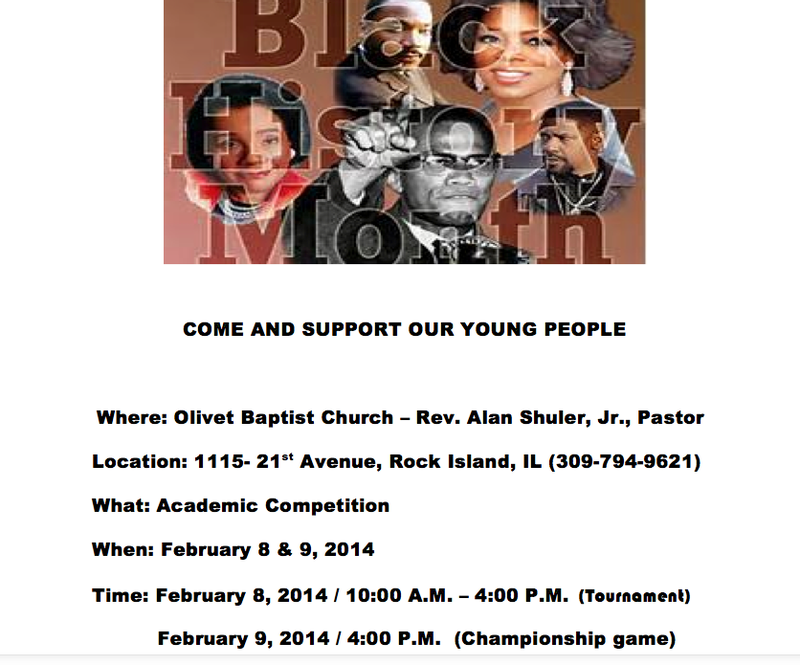 The competition will take place at Olivet Baptist Church in Rock Island starting at 10:00 am! Come out and support our youth doing something really positive in the community! Grace City will have the annual Black History Month Program on Sunday, February 16 at 1:00 pm! Let’s celebrate Black History together! ← Begin Your New Year With Empowering Services!